Contact moves germs by touch (example: MRSA or VRE). 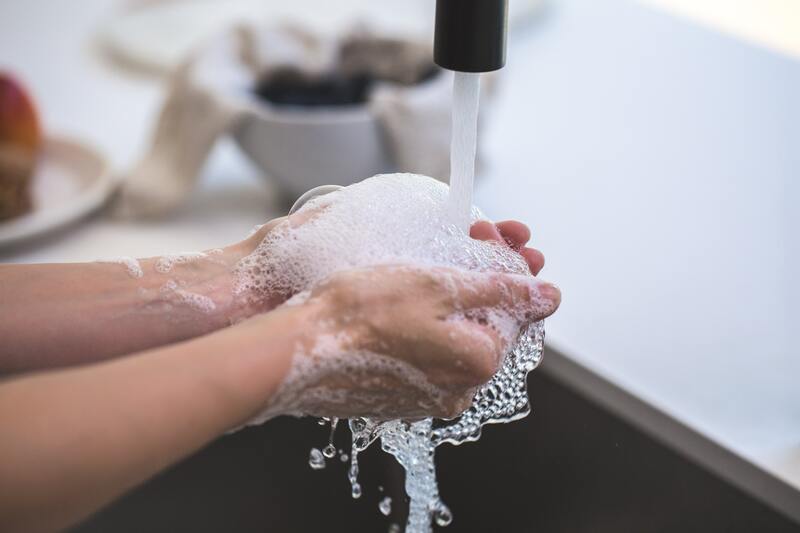 For example, healthcare provider hands become contaminated by touching germs present on medical equipment or high touch surfaces and then carry the germs on their hands and spread to a susceptible person when proper hand hygiene is not performed before touching the susceptible person. Sprays and splashes occur when an infected person coughs or sneezes, creating droplets which carry germs short distances (within approximately 6 feet). These germs can land on a susceptible person’s eyes, nose, or mouth and can cause infection (example: pertussis or meningitis). Close range inhalation occurs when a droplet containing germs is small enough to breathe in but not durable over distance. Inhalation occurs when germs are aerosolized in tiny particles that survive on air currents over great distances and time and reach a susceptible person. Airborne transmission can occur when infected patients cough, talk, or sneeze germs into the air (example: TB or measles), or when germs are aerosolized by medical equipment or by dust from a construction zone (example: Nontuberculous mycobacteria or aspergillus). Sharps injuries can lead to infections (example: HIV, HBV, HCV) when bloodborne pathogens enter a person through a skin puncture by a used needle or sharp instrument. Utilizing proper infection control practices protects facilities from the risk of experiencing a tragedy related to a viral outbreak. Enough lives have been lost due to oversight and a lax in preventative measures. These infection control practices promote safe environments, and better health for all involved.